So you’ve decided to include interviews on your blog but you have no idea how to find authors willing to take part or how you should approach the ones on your wishlist? It’s always easiest to start out with those authors you have had contact with before. Simply email them to ask if they are available for an interview. Next time you reply to a review request, check if the author is also available for an interview. Look at who is releasing books in the next month or so – these authors are most likely to be looking for exposure. Send through an interview request via their email or contact form on their website, or contact their publicist or publisher. Check out the blog tours and put your name down for the Q+A options (sometimes these are supplied without you needing to provide any questions). Consider building up a catalogue of interviews before chasing after the big fish. The more readership you have, the keener the author will be to appear on your blog (be prepared to share your traffic stats if asked). If your numbers are impressive, you can always include that in your initial pitch. 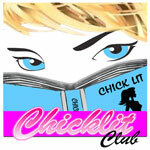 With the release of Exciting New Title approaching, I was wondering if you’d be free for an emailed interview of about 10-15 questions for Chicklit Club. If you are, let me know and I’ll send through the questions. First things first, show your interview subject respect by taking the time to research them properly. My worst-ever interview was with country legend Willie Nelson, when I had about five minutes notice to tear out to the airport and interview him on the car ride to his hotel. This was in pre-Google days and off the top of my head I couldn’t have named a single tune of his. Needless to say I’m sure I came across as clueless and instead we spent the trip talking about his love of golf! Nowadays, with the internet, you have absolutely no excuse for not being prepped on the author’s background. Check out their website, including their bio as an interesting history could trigger some questions. If they blog, read the last few posts to see which topics interest them. Scroll through their most recent postings on social media sites. Sometimes it gives you an insight into their likes, beliefs and interests. Familiarise yourself with their catalogue of books, and particularly the book they are currently promoting. If you have time, read this latest release so you can inquire with authority about the storyline, themes and characters. Even if you don’t have time to read the book, make sure several questions acknowledge this book – after all this is probably why the author agreed to the interview in the first place. Read through other interviews or articles about the author to see if these prompt any points for discussion. While you are researching, jot down any questions that come to mind. You can go back later to work out which ones are the best and in what order. Ask open-ended questions that prompt more than a yes/no response. For example, instead of did you enjoy your book launch, try what did you get up to for your launch party? Good phrases to use are: Tell us about, why, explain, how. Be clear about what you are after. If you want the interview to focus on their writing techniques and tips, tell them upfront. 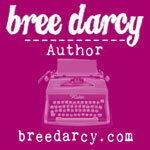 Two questions I ask every interview are: Tell us about your current book and what are you working on now. The first one is usually what the author most wants to share with my readers while getting a possible scoop on the next book is what I most want to share. But don’t ask every author the same list of stock questions. It becomes not only boring for your readers, it also means you’ll possibly miss angles that would have become the interview highlights. You may, however, want to consider creating one special question you ask every author – it can become your ‘thing’. Customise your questions for each author – that’s why research is so important. Always prepare a couple of questions they are unlikely to have been asked lately, to keep the interview fresh and the interviewee enthused. Ask some light-hearted questions that allow the author to show a bit of humour and personality. Put yourself in your readers’ shoes – what would they like to ask this author? Readers often want to know what makes an author tick and how did they come up with their book idea. Consider your audience – are they readers who want to hear about books or are they writers who’d like to hear about writing craft. You can always delegate it to your readers and ask them via social networking which question they would ask. How many questions make up a good interview? 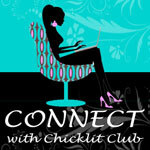 Chicklit Club interviews usually have about 10-15 questions. But if I was starting out today, with authors now under increasing pressure for material from so many blogs, I would have kept the format to under 10. If an author is pressed for time, fewer questions means they might give you fuller responses. Most interviews these days are conducted via email but if you get the chance to speak to the author in person or via phone, you have a few more things to consider. Don’t jump straight into your questions, take a little time to build a rapport. Your interviewee can be just as nervous as you, so some brief chitchat can put you both at ease. Ensure your recording device works AND IS SWITCHED ON! Try to minimise the amount of mmmming and encouraging noises you make during their responses, otherwise it will drive you crazy when you’re transcribing. It’s a good idea to take written notes too, just in case your recording device fails. You may want to video the entire interview to edit later and upload to YouTube. Have your questions in front of you, so you can quickly move on to the next one. But remember to listen to your interviewee’s reply – and if it prompts a follow-up question, don’t worry about deviating off script. Find out how much time is allocated to the interview and arrange your questions accordingly because you don’t want to run out of time before you ask your most important questions. Choose an easy-to-read format and stick to it for all interviews. Chicklit Club interviews run with the author’s name and photo at the top (including a link to the author’s review page) plus a brief bio and date. Our questions are numbered and in bold, with the author’s response in normal font. We also embed some of their book covers into the interview. You may also want to include a link to their website or buy-book-now facilities. Develop your own style guide. My questions are written with English spellings (ie favourite, centre) but if the author uses American spellings (favorite, center) I leave their response in their ‘native tongue’. If they make spelling or basic grammatical errors, correct them. Use Google to check words you’re not sure of. If I had a dollar for every time an author misspelt a place name or fellow writer’s name, I’d be writing this while sunning myself on a Greek isle. And of course there are no excuses for getting the author’s name and book titles wrong! Organise your interviews so readers can easily find past ones, such as tagging them all Interviews or setting up a separate page with all interview links. Spread news of the interview via Twitter/Facebook and shoot an email to your first point of contact to inform them the interview has gone live. Stephanie Pegler is an Australian journalist and publisher of Chicklit Club, Connect and We Heart Writing. You can check out their interviews page here. Fantastic! Loved this, lots of great advice and things I hadn’t considered before. Thanks for sharing, Steph!